Kurt Roderick used to fix trucks, now he drives them. Kurt spent 19 years working in a shop until the arthritis in his hands forced him to give it up. Now he is behind the wheel of a semi and celebrating his 1st million miles with TransAm Trucking. Kurt joined TransAm back in 2009 because of the equipment. “An automatic shifter is easier on my hands,” he says. However, he stayed because of a love for trucking. “I really enjoy this job.” He said he always planned to become a truck driver after he retired from the shop – he just started a little earlier than he expected. When asked what he enjoys most about being a truck driver, he says it is the travel. “Pennsylvania is my favorite place to drive.” He likes the scenic, mountain views. 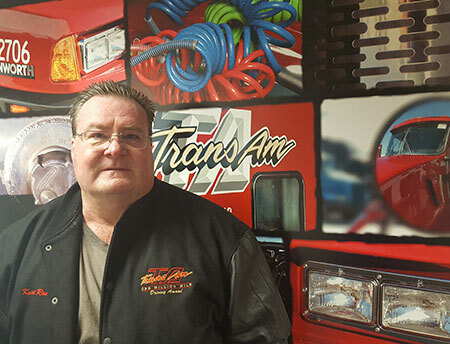 Thank you, Kurt, for all of your years and miles with TransAm Trucking. We are glad you choose to contract with TransAm Trucking.